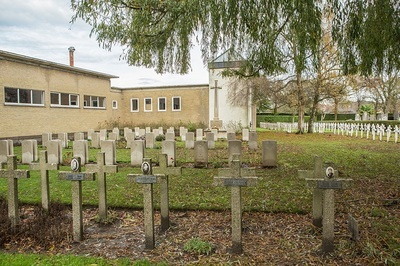 Veurne Communal Cemetery Extension is located in the north-east district of the town of Veurne (also known as Furnes). 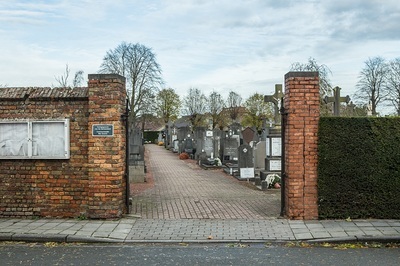 From the Grote Markt the Oostraat leads for 500 metres to the left hand turning onto Oude Vestingstraat. The cemetery is located 500 metres along Oude Vestingstraat on the right hand side of the road. 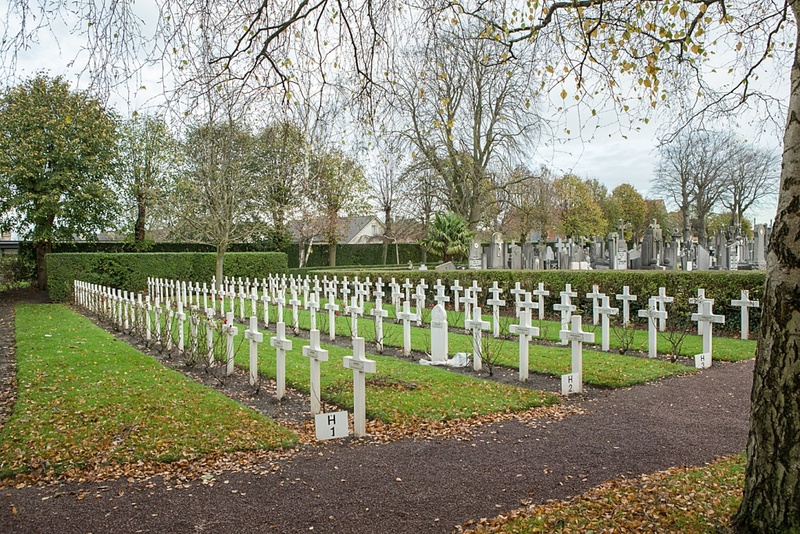 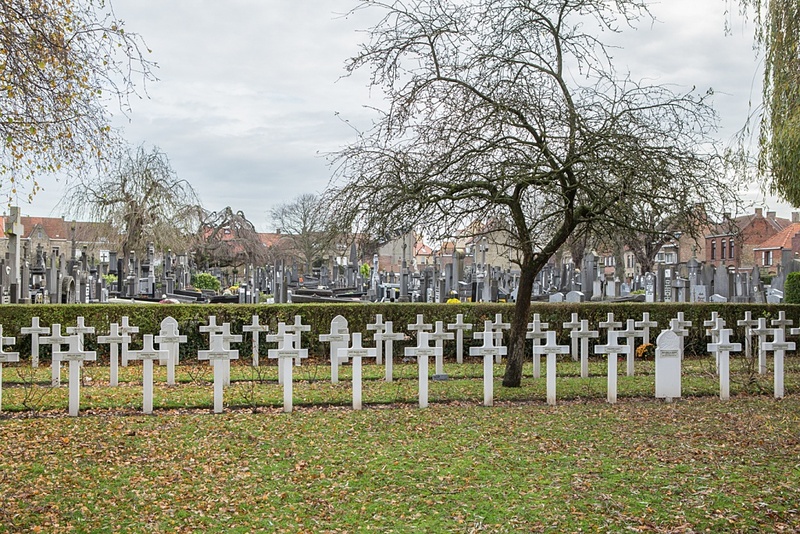 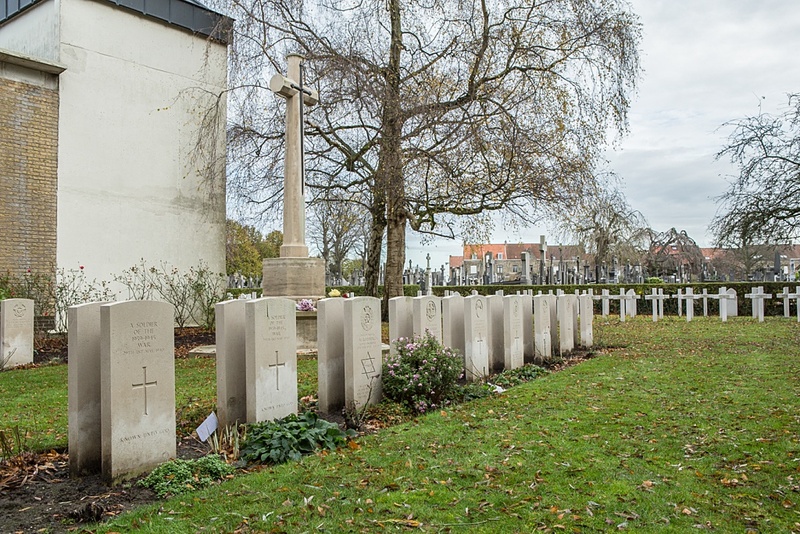 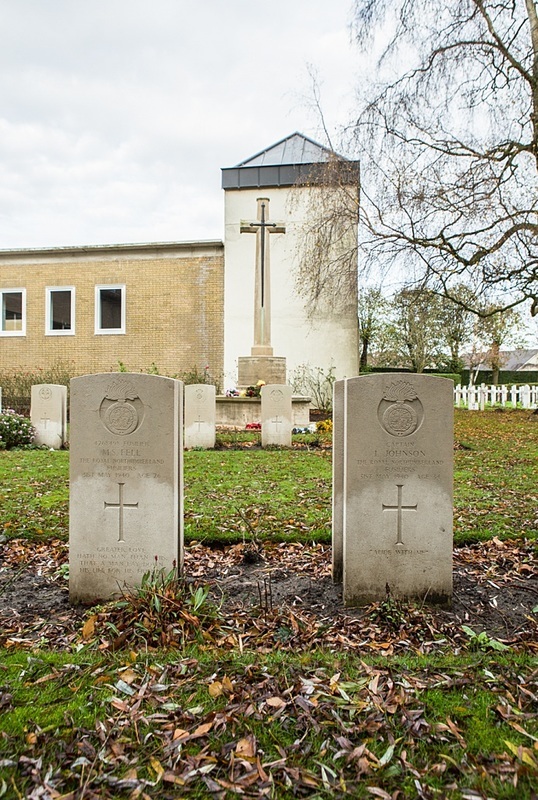 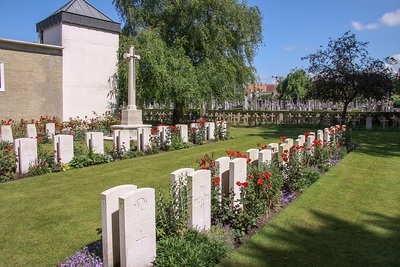 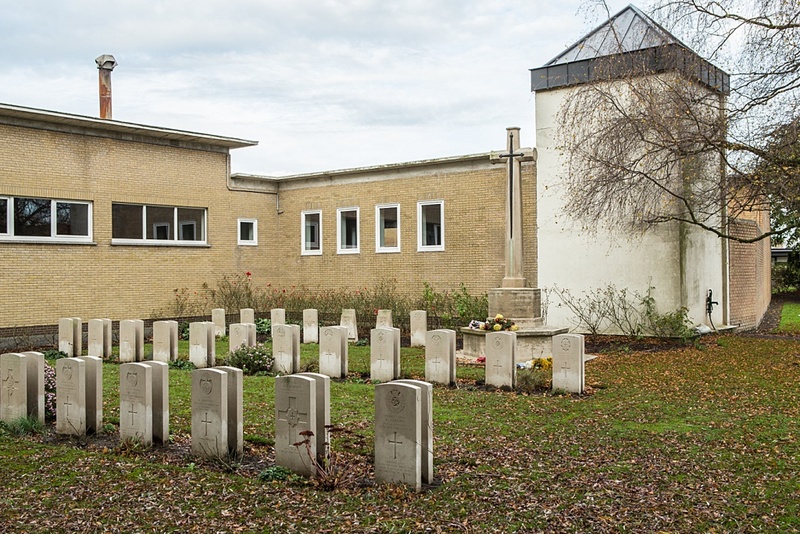 VEURNE COMMUNAL CEMETERY EXTENSION contains 77 Commonwealth burials of the Second World War, almost all of which date from the last two or three days of May 1940. 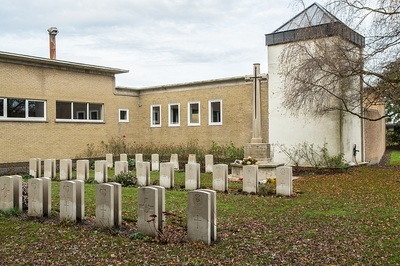 There are also two Czech war graves within the extension. 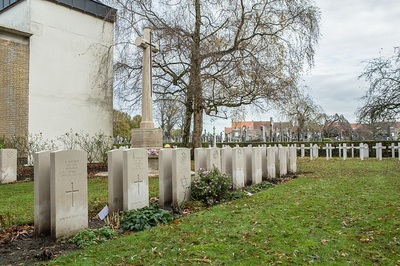 The adjoining COMMUNAL CEMETERY contains two First World War burials. 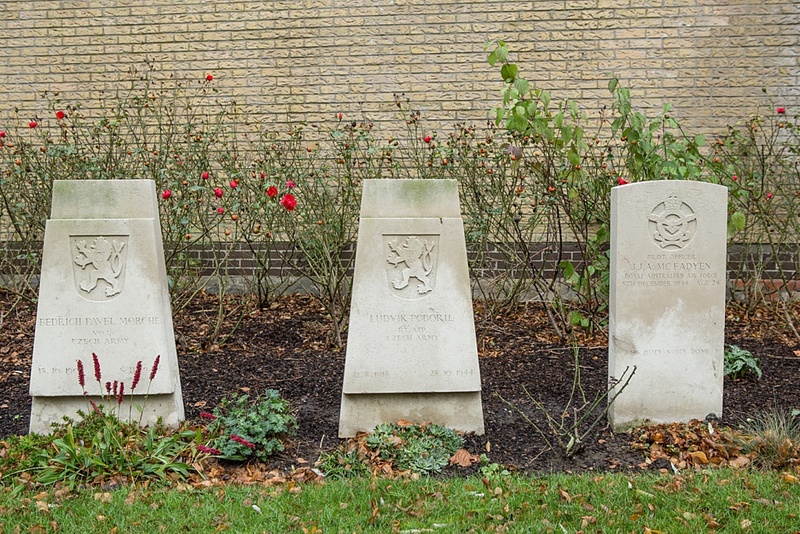 Christopher John Darell Jeffreys, M. V. O. 29th May 1940, aged 32. 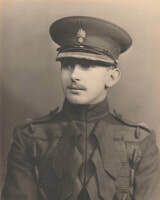 Son of General George Darell Jeffreys, K.C.B., K.C.V.O., C.M.G., First Baron Jeffreys, and of Lady Jeffreys (nee Heseltine), of Burkham House, Alton, Hampshire; husband of Lady Rosemary Jeffreys. 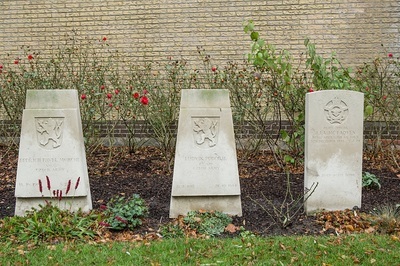 Picture © Johan Pauwels INSCRIPTION. 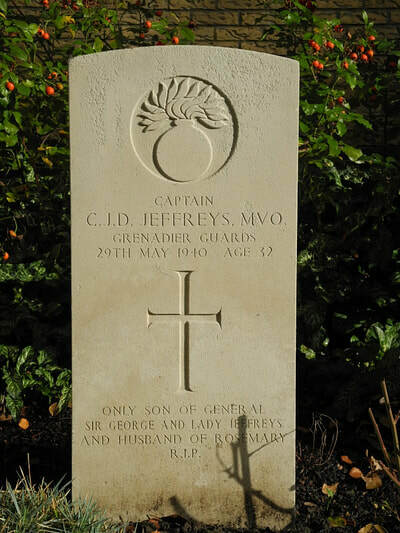 ONLY SON OF GENERAL SIR GEORGE AND LADY JEFFREYS AND HUSBAND OF ROSEMARY R.I.P.